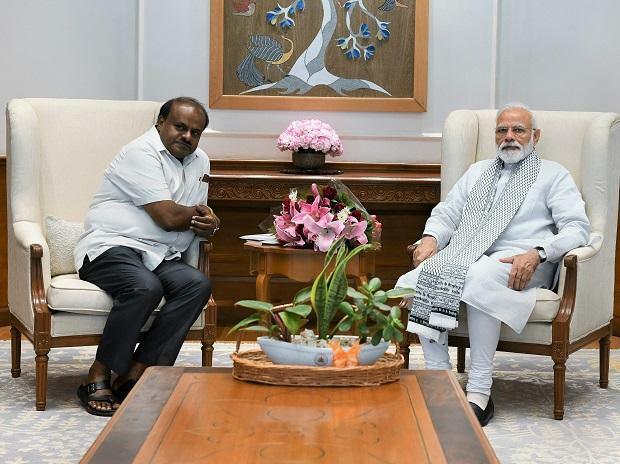 Karnataka Chief Minister H D Kumaraswamy Saturday met Prime Minister Narendra Modi and sought early release of Rs 2,064.30 crore funds to provide relief to drought-hit farmers in the ongoing rabi season, an official statement said. Kumaraswamy informed Modi that the state faced drought situation during this year's kharif season as well but the financial assistance sanctioned by the central government was inadequate. "Consecutive droughts, flood has brought farmers under distress and it is the time to rush to their aid," Kumaraswamy told the Prime Minister. The Centre sanctioned Rs 949.49 crore against the state government's demand of Rs 2,434 crore as drought relief for the kharif season, which is less than 50 per cent of the input subsidy claim by the state, he noted.